Baptists are people who mark themselves out from other Christians through their practice of insisting on adult baptism, rather than allowing or recognising paedobaptism – i.e. the baptism of infants. The first known Baptist congregation in England date back to 1608, when people fleeing from the Netherlands came together in London. 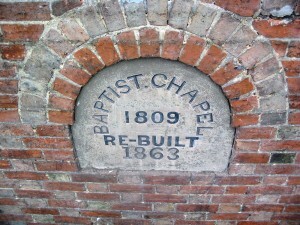 The earliest named Baptist in this area was Benjamin Keach of Winslow (1640 – 1704). He was a baptist minister in Winslow before moving to London in 1668. Keach’s chapel in Winslow, built in 1695, is still standing, though no longer in regular use. At the Quarter Sessions held on 27th April 1704, Matthew Leno’s House was registered for worship, and the Swanbourne Parish Church register records that on January 11th 1724 (1725 in modern dating), Jane Webb alias Leno, an old woman Anabaptist, was buried without ye service. In the religious census, taken on 30th March 1851, the return for the Baptists was given by John Dumbleton, Minster of Winslow. The congregation in the morning March was given as 42 with 6 Sunday Scholars, in the afternoon, 72 and in the evening 72. The average morning congregations were given as 75. The chapel would seem to have had accommodation for 143 people, with 27 free sittings accommodating 126 people and 3 other sittings, accommodating 17 people. 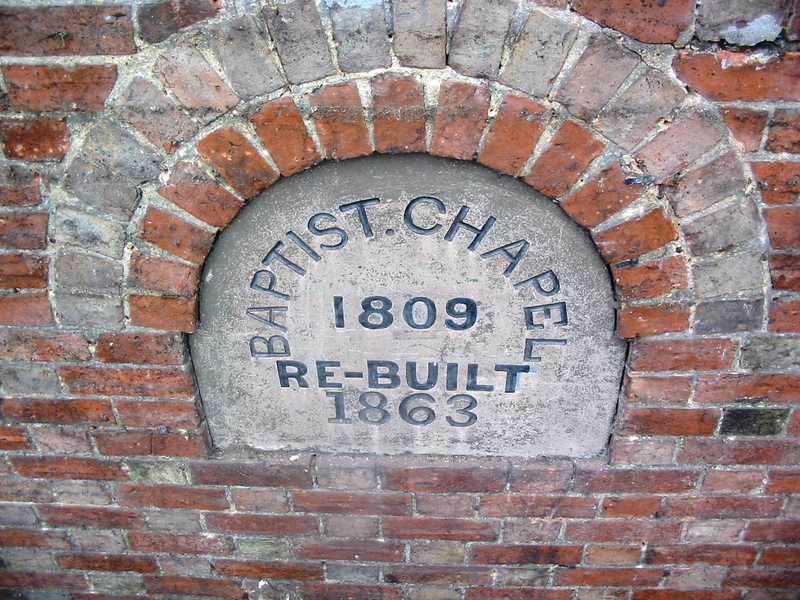 This chapel was eventually replaced by a larger building in 1863, which continued to provide a place for worship for over 100 years. However, it eventually closed down in 1969, and is now a home, going by the name of Whittlewood House.